All Ready to Celebrate Easter!! 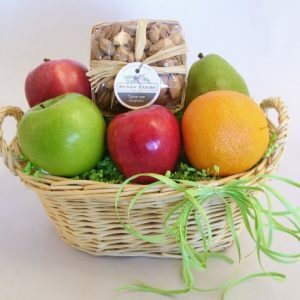 Delicious Gourmet Treats Perfect for Any Occasion!! Sweet gift they will love!! 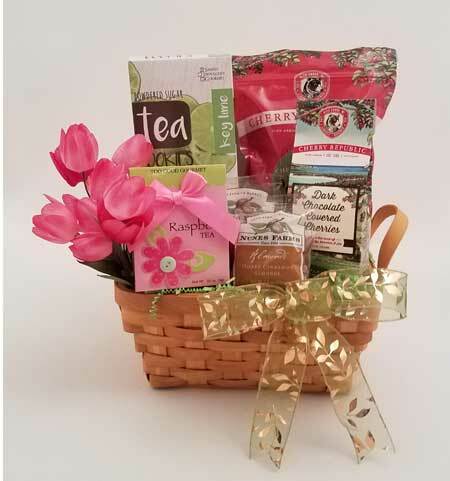 Welcome to the Bay Baskets website and thank you for visiting. 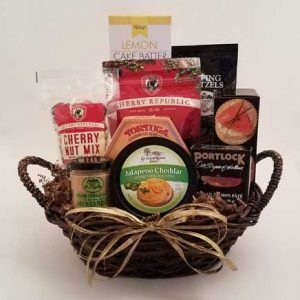 Gift baskets are the perfect gift for every occasion. 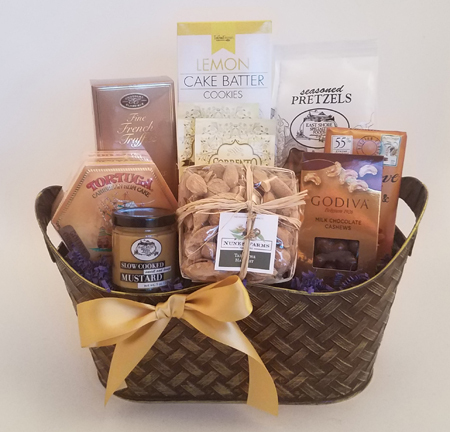 Let Bay Baskets assist you in making gift giving easy, memorable and delicious. 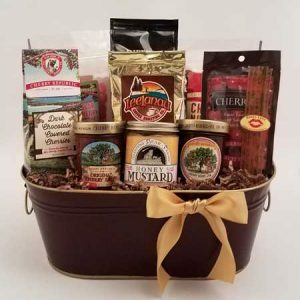 We have a great selection of gift baskets for every occasion and we love doing custom gifts that are sure to please. 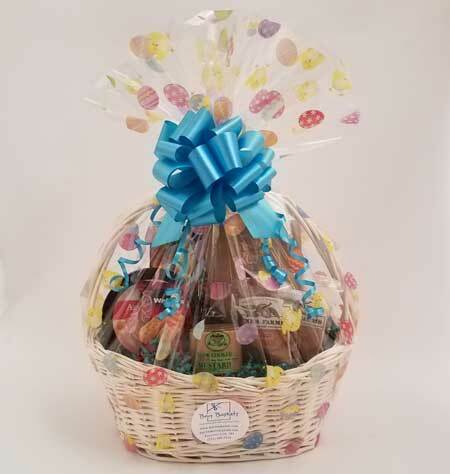 Local deliveries in zip codes 49684 (Traverse City), 49685 (Traverse City), 49686 (Traverse City), 49696 (Traverse City), 49610 (Acme), 49637 (Grawn), 49643 (Interlochen), 49649 (Kingsley), and 49650 (Lake Ann) are $12.00 each. Please call 231 409-5131 regarding price quotes for deliveries out of these zip codes but in the surrounding area. When online orders are shipped, a flat rate of $39.00 will be charged for orders that are shipped in the 48 contiguous U.S. outside of the above zipcodes. Please call us at 231 409-5131 or email us at [email protected] for fresh ideas and custom gifts for your special occasion or event.